081 of 106. Morning in the park. 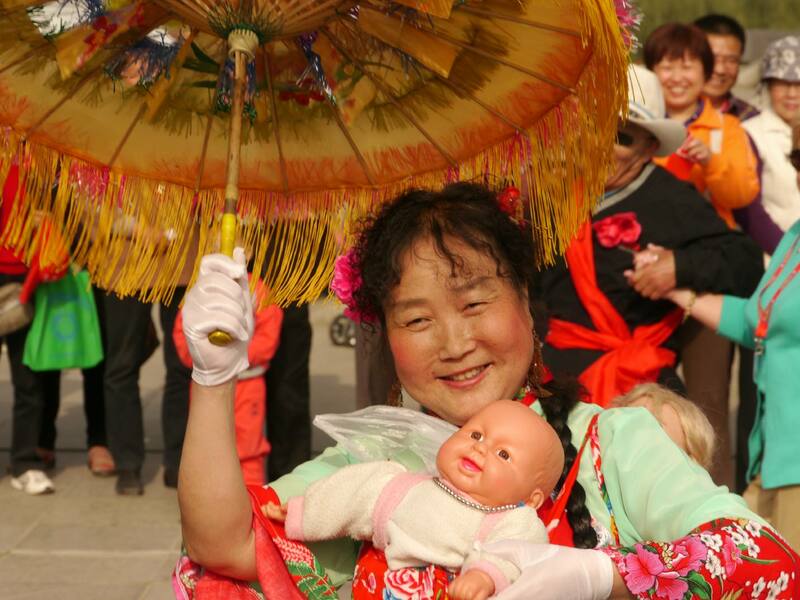 Happy dancer with doll at the Musical pavillion, Xian, 21 April 2012.